Prof. Dr Milan Bačević was born in 1953 in the city of Komoran. He graduated in 1976 at the Faculty of Sciences and Mathematics in Priština. He obtained Magister’s degree in 1980 and Doctor’s degree in 1985 in Skopje, at the Faculty of Sciences and Mathematics, Department for Spatial Planning. Since 1984 he has been a professor at the Faculty of Sciences and Mathematics of the University in Priština and a professor at number of Faculties, Departments for geography, spatial planning and tourism (Priština, Kragujevac and Belgrade). From 1992 in two terms he was a member of the Federal Assembly of the Federal Republic of Yugoslavia. From 1998 to 2000 he was a Vice-Minister of Science and Technology in the Government of the Federal Republic of Yugoslavia. From 2000 to 2012 he was a professor at the Priština University. During the same period periodically he was a professor at the Belgrade University - Faculty of Geography. From May 2012 to July 2012 he was an Advisor to the President of the Republic of Serbia H.E. Mr. Tomislav Nikolić. 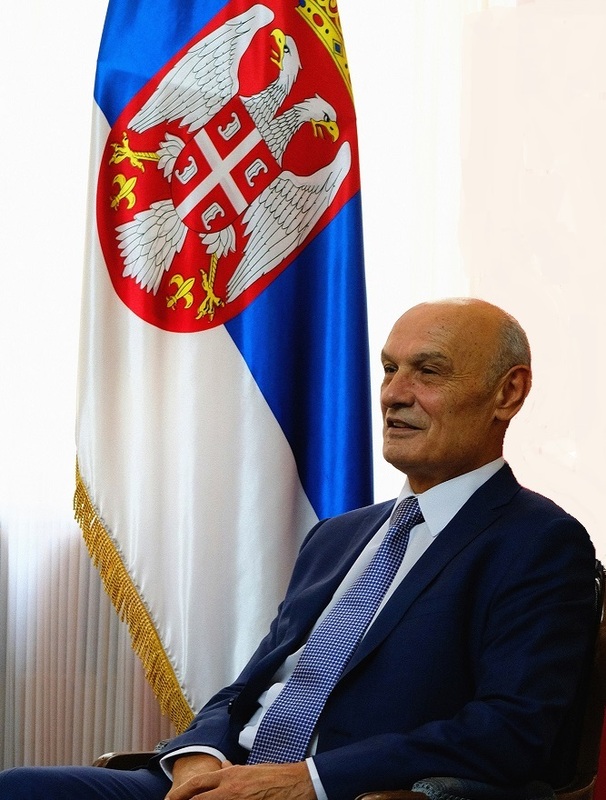 From 27 July 2012 to 27 April 2014 he was a Minister of Natural Resources, Mining and Spatial Planning in the Government of the Republic of Serbia. During his ministerial term, he was chairing the Serbian delegation in the Intergovernmental Committee for Cooperation with the Russian Federation, being a Co-Chair of the Intergovernmental Committee for cooperation with the Russian Federation. He is a Vice-President of the Serbian Geographical Society and the Chief of the Science Section of the Society. He is a member and one of the founders of the Serbian Progressive Party (SPP), President of its Executive Board until 2012; from 2012 until today he is a member of the Presidency and the Main Board of the SPP. H.E. Ambassador M. Bacevic started his post as Ambassador of the Republic of Serbia to the PR of China on 30th of October 2014, and presented credentials to the President of the PR of China H.E. Mr. Xi Jinping on 22nd of January 2015. Russian - fluent; English - notion.